The genomic era is revolutionising healthcare for children and young people with chronic illness and their families. 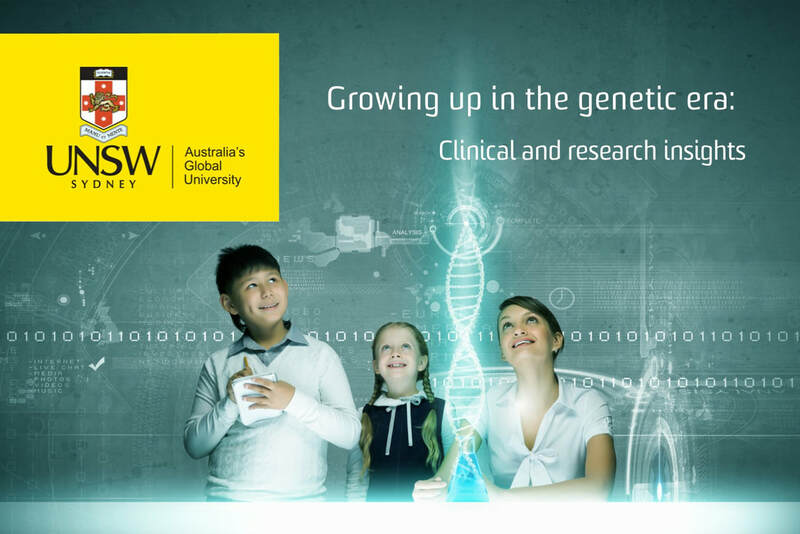 This symposium will bring together clinicians and researchers addressing the core psycho-social challenges of providing genetic testing and personalised medicine to children. Experiences of parents with palliative and end of life care: Understanding how to support parents and children to improve quality of life. 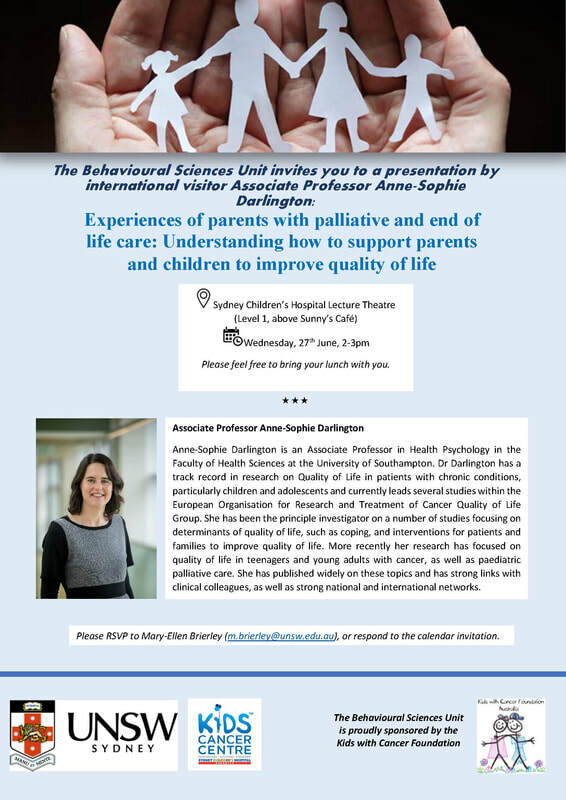 If you would like to attend, please RSVP to Mary-Ellen Brierley at m.brierley@unsw.edu.au bu 22nd June. On 12th June, 2018, the Behavioural Sciences Unit invited staff, volunteers, collaborators, and students, who have contributed to our team's projects and progress over the last few years, to an afternoon tea to thank everyone for their efforts. We were also fortunate to hear from 4 special guest speakers: Dr Luke Hesson, Dr Tom Denson, Lidia Monteverdi, and Dr Joel Pearson - who shared their inspiring work with us. On 30th May, 2018, the BSU welcomed End-of-Life Doula, Anna Pelle, to our fortnightly team meeting. Anna presented on her work in palliative care, and shared her experiences as an End-of-Life Doula. 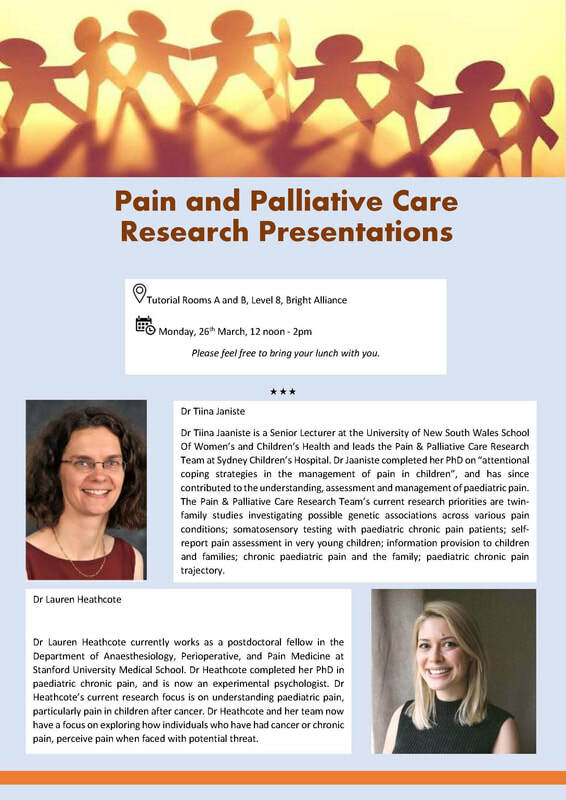 On 26th March, 2018, the BSU was fortunate to host presentations from paediatric pain and palliative care researchers Dr Tiina Jaaniste and Dr Lauren Heathcote. Dr Jaaniste shared her work as the leader of the Pain and Palliative Care Research Team here at Sydney Children's Hospital. Dr Heathcote shared her work as a postdoctoral fellow in the Department of Anesthesiology, Perioperative, and Pain Medicine at Stanford University Medical School in the US.